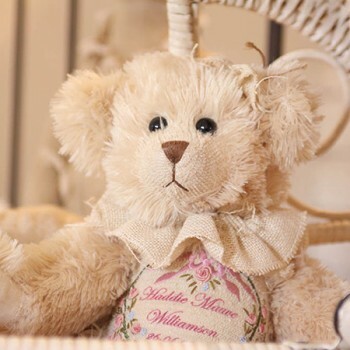 Beautifully hand crafted, our personalised Teddy Bear named Monty is the perfect gift for baby or for little men . 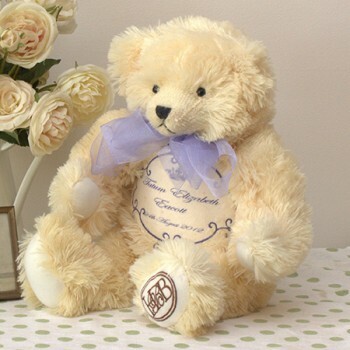 Monty is a 40 cm, jointed, plush bear in a beige colour with embroidered front emblem in Blue. 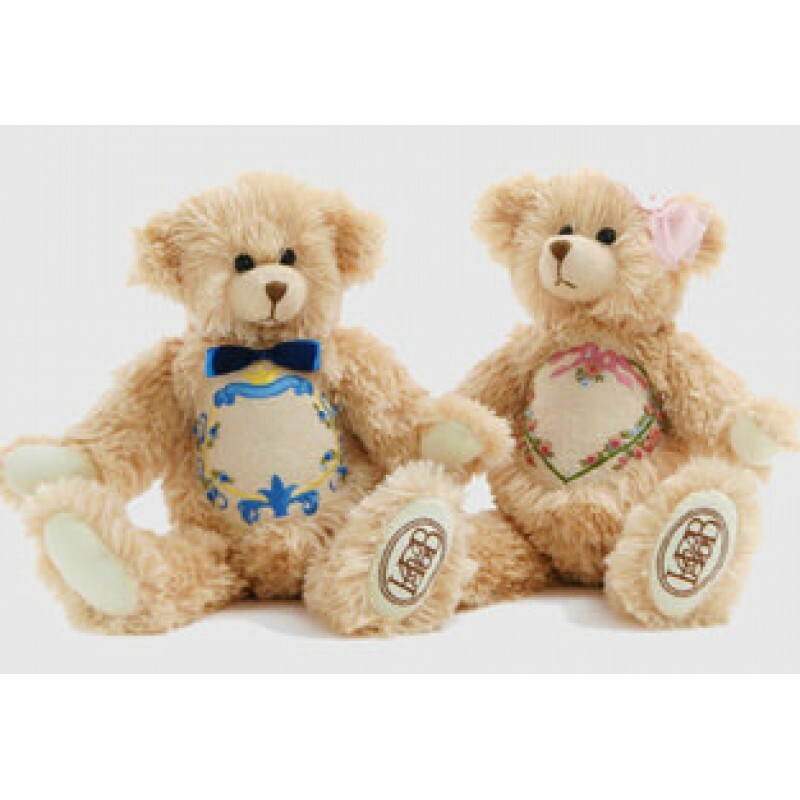 We hand personalise the front with blue french script with a name and date of birth. 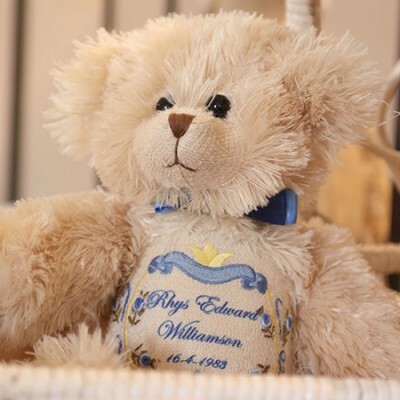 This unique personalised bear has a time capsule that sits in the back pocket of the bear. With its unique features of time capsule and personalised front emblem with name and birth date, this gift is the perfect keepsake for any occasion.